It is no secret; the residents of the San Francisco Bay Area enjoy active lifestyles. There are plenty of parks and recreational areas for any sport activity. In a state that is in one of the worst droughts in many years, artificial grass for recreation has been the choice for many cities. County officials have found this product to be an eco-friendly and cost-effective approach to landscape design. The 2010 Clean & Safe bond gave money to SF to fix parks and recreation areas. 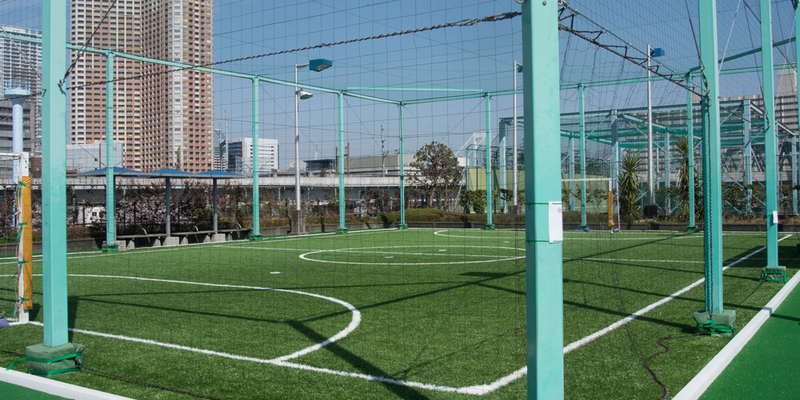 They used these funds to convert real grass into artificial grass for recreation. In Golden Gate Park’s off-leash dog parks, high-tech turf is used instead of mulch. Using fake pet grass keeps the area in shape and reduces water and labor costs. San Francisco also replaced the soccer fields in Golden Gate Park with artificial grass for recreation. Sports organizers and teams were concerned about the muddy unsafe conditions from the real grass. Premier suppliers like Watersavers can help cities like SF choose the proper sports turf and padding to make parks a safer place to play. If you’re looking for water and labor cost savings for your city projects, ask us about our fake grass products. We offer more than 60 types of artificial turf. We also offer free next day delivery for the San Francisco Bay Area, so you can get whatever you need for your project when you need it. We provide a 10-year commercial warranty when our synthetic turf is installed by a licensed contractor. San Francisco Maritime National Historic Park: Also known as Hyde Street Pier, the park has eight ships docked next to the well-known Fisherman’s Wharf. The boats date from 1886-1915. There is also a navy museum and a small beach within close walking distance. Golden Gate Park: Maintained by the SF Rec & Park Dept. since 1871, this 1017 acre park includes the De Young Museum, Academy of Sciences, Japanese Tea Garden, and more. Angel Island State Park:This is one of the largest natural islands in the SF Bay Area. There are great views, hiking trails, and picnic and play areas. Fake grass is used in many park sport and playground areas.The use of fake grass improves play time on the field by getting rid of mishaps caused by gopher holes, mud, and uneven areas. Park sports like soccer, tennis, and even Frisbee see safety benefits from the use of fake lawn. Also, artificial turf can last over 20 years. Cities can reap huge savings in water and turf maintenance costs during this period.If you are city thinking about turf replacement for your park or sports field,call Watersavers for your synthetic turf installation. We can help you make the best turf choice for your next municipal project. We have an expert staff that can answer all your questions and concerns. We are always happy to assist you. You can chat with us online or call us direct at (844) 974-8873.You can also request a quote online.